Solid engineered wood flooring is both beautiful and long-lasting, provided that you ensure proper installation and maintain proper care over the years. Floating floors should be exactly that, floating. If they are accidentally tacked down, it could lead to problems when the weather changes. Your solid engineered wood floor separates during the winter, and rises, or buckles during the summer months. An inspector will look into whether the floor was acclimatised properly, whether moisture readings were done, and whether it’s a floating floor or not. 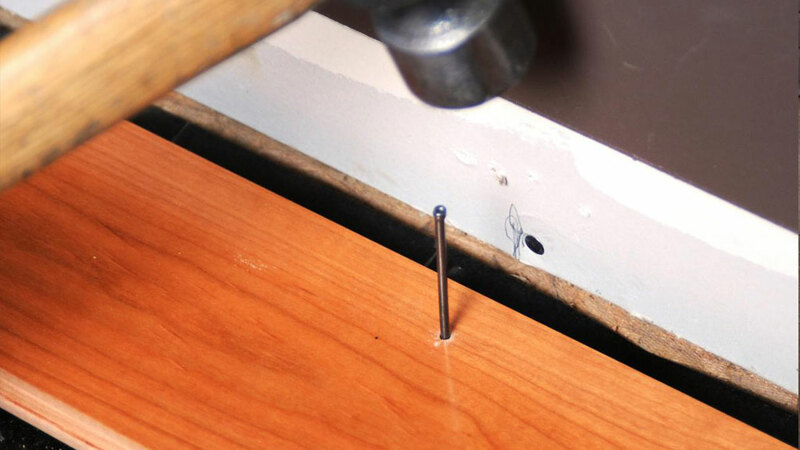 This problem could be due to the fact that small nails have been used to fix the floor, which could hold it back from expanding and contracting naturally with the seasons. This is something you will need to take up with the flooring installer directly. While most contractors may think the entire floor needs to be pulled up and re-installed, a good installer will be able to simply replace the nailed planks with new planks and use ratcheting straps to pull the flooring back together. This should resolve the issues of buckling and separating. When choosing a flooring installer, make sure you look into the credentials of flooring installers in your area, and possibly even reach out to social media for a recommendation. A list of accredited installers can be found on the SAWLFA website. In this case, installation guidelines were not being followed. Whether regarding acclimation of the flooring, the use of T mouldings, not using a wide enough baseboard, or the environmental conditions in the home, the majority of issues come back to the product not being installed or maintained correctly.